A new study offers answers to questions that have puzzled policymakers, researchers and regulatory agencies through decades of inquiry and evolving science: How much total methane, a greenhouse gas, is being emitted from natural gas operations across the U.S.? And why have different estimation methods, applied in various U.S. oil and gas basins, seemed to disagree? The Colorado State University-led study, published Oct. 29 in Proceedings of the National Academy of Sciences, resulted from a large, multi-institutional field campaign called the Basin Methane Reconciliation Study. The researchers found that episodic releases of methane that occur mostly during daytime-only maintenance operations, at a few facilities on any given day, may explain why total emissions accountings have not agreed in past analyses. With invaluable assistance from industry partners, the researchers have significantly advanced basin-level emission quantification methods and shed new light on important emissions processes. "Our study is the first of its kind, in its scope and approach," said Dan Zimmerle, senior author of the PNAS study, and a senior research associate at the CSU Energy Institute. "It utilized concurrent ground and aircraft measurements and on-site operations data, and as a result reduces uncertainties of previous studies." 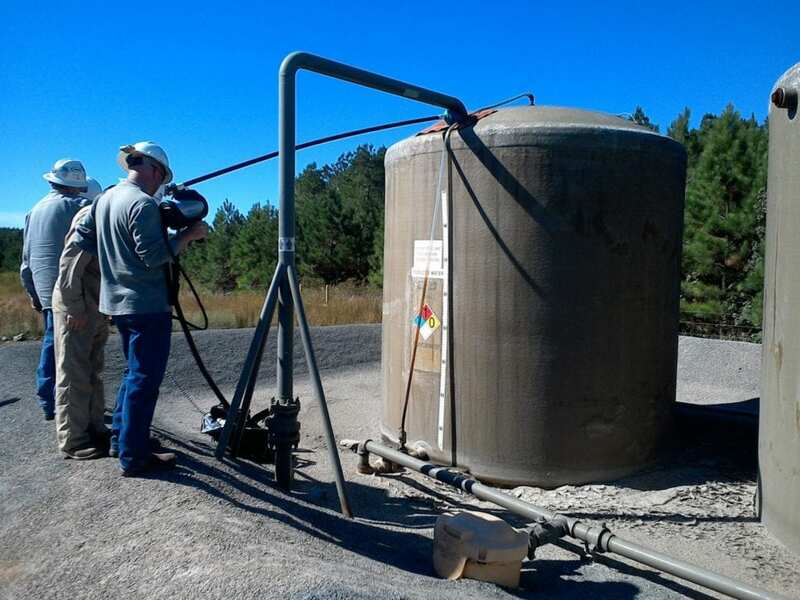 The Basin Methane Reconciliation Study included scientists from CSU, Colorado School of Mines, University of Colorado Boulder, the National Oceanic and Atmospheric Administration, and the National Renewable Energy Laboratory. Other scientific partners were University of Wyoming, Aerodyne, AECOM, Scientific Aviation and GHD. The field campaign took place in 2015 in the Fayetteville shale gas play of Arkansas' Arkoma Basin. The campaign involved more than 60 researchers making coordinated facility- and device-level measurements of key natural gas emissions sources. The campaign also included a series of aircraft flyovers to collect measurements during the same period when researchers were taking measurements on the ground. The flights took place when meteorological conditions allowed accurate regional emissions estimates. In the past, most aircraft-based, basin-scale emissions estimates have been statistically higher than estimates based on bottom-up accounting. "The key to our efforts was having everyone out in the same field, at the same time," said Gabrielle Petron, a research scientist from CIRES at CU Boulder and NOAA who was the principal investigator for the top-down measurement team. "By comparing the merits and pitfalls of multiple methods of measurement, we were able to paint a much more comprehensive, and we believe accurate, picture of the methane emissions landscape for natural gas infrastructure." The PNAS paper utilized a comprehensive set of results published in lead-up papers evaluating emissions from natural gas facilities, including well pads, gathering stations, gathering pipelines, and transmission and distribution sectors. The teams made simultaneous measurements using multiple methods at well pads and compressor stations – the largest emissions sources identified in the basin – which highlighted the strengths and weaknesses of various on-site and downwind methods. Natural gas distribution systems were only a small fraction of total natural gas emissions. The team also estimated methane emissions from biogenic sources, such as agriculture and landfills. The entirety of those research efforts culminated in the CSU-led PNAS paper that synthesized all the data taken by the research teams. This capstone paper compared a bottom-up estimate that accounted for the location and timing of emissions, with a top-down estimate developed via aircraft measurement – an analysis that had never been done before. One of the study's key insights was the importance of understanding the timing of measurements and daytime maintenance activities, which likely explains the persistent gap between previous top-down and bottom-up estimates. Routine maintenance activities occur in the daytime and can cause short periods of high emissions in the middle of the day. One of these activities is called "manual liquids unloading," which removes liquids buildup at a natural gas well in order to restore gas production flows. The unloading process can temporarily divert the flow of natural gas from the well to an atmospheric vent. These activities typically happen during the day, around the same time a research aircraft would be conducting measurements. This diurnal variability of methane emissions, the researchers concluded, may help explain why estimates from aircraft measurements have previously been higher than estimates based on annual bottom-up inventories. In this study, for the first time, the researchers showed that the east-to-west variation of methane emissions across the basin, derived from aircraft measurements, were reproduced by the high-resolution, bottom-up emissions model developed by the CSU team. Working with industry technical experts gave the study team invaluable full site access for bottom-up measurements and hourly and spatially resolved operational data. The data improved the understanding of the magnitude and timing of emissions, particularly for episodic events like maintenance operations. "What we have found is that we have two good methods of measurements. If you want to compare them, you have to account for timing and location of emissions," said PNAS lead author Tim Vaughn, a CSU research scientist. Applicability of these results to other production basins is not known, the researchers say, without understanding the timing of emissions in those other basins. Funding for the PNAS study was provided by the Department of Energy Research Partnership to Secure Energy for America/National Energy Technology Laboratory contract No. 12122-95/DE-AC26-07NT42677 to the Colorado School of Mines. Cost share for the project was provided by Colorado Energy Research Collaboratory, the National Oceanic and Atmospheric Administration, Southwestern Energy, XTO Energy, a subsidiary of ExxonMobil, Chevron, Equinor and the American Gas Association, many of whom also provided operational data and/or site access. Additional data and/or site access was also provided by CenterPoint, Enable Midstream Partners, Kinder Morgan, and BHP Billiton.